Thank you for taking time out of your day and visiting our website. 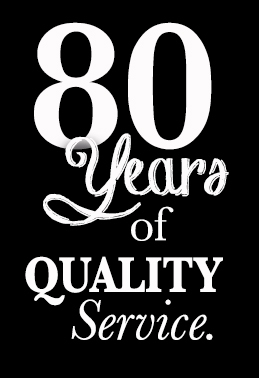 It is an honor that this year we are celebrating 80 years of being in business. Over the last 80 years we have built a reputation based on providing quality service to our customers and we believe it all starts with hiring quality drivers. To our customers, we want to ensure you that it is our main goal that each and every one of you are treated with the best possible customer service and respect, not only from each office member but from every driver that has joined our team as well. If you are a driver looking for a new career we want you to know we welcome you! We make it our priority that all of our drivers feel like they have been welcomed into a new family instead of just a new work place. Every office member will always have their door opened, myself including for any situation you may have. We will always stand behind the open door policy. If you are a customer that is looking for someone who specializes in the transportation of bulk commodity or even a driver who is interested in starting a new career, we here at Vernon Milling Company/Terra First LLC want to hear from you. If you have any further questions please feel free to email us or give us a call and we will direct you to the top of the line office member that can best answer any questions you may have. Once again thank you for visiting our website. Are you ready to become part of a family in your new career? We here at VMC/TF are ready to add you to our family. A place where we know you by name and not by a number. Vernon Milling Company Inc. / Terra First LLC. Copyright © 2018 Vernon Milling Company. All Rights Reserved. • No part of this web site may be reproduced in any way without express written permission of the company.